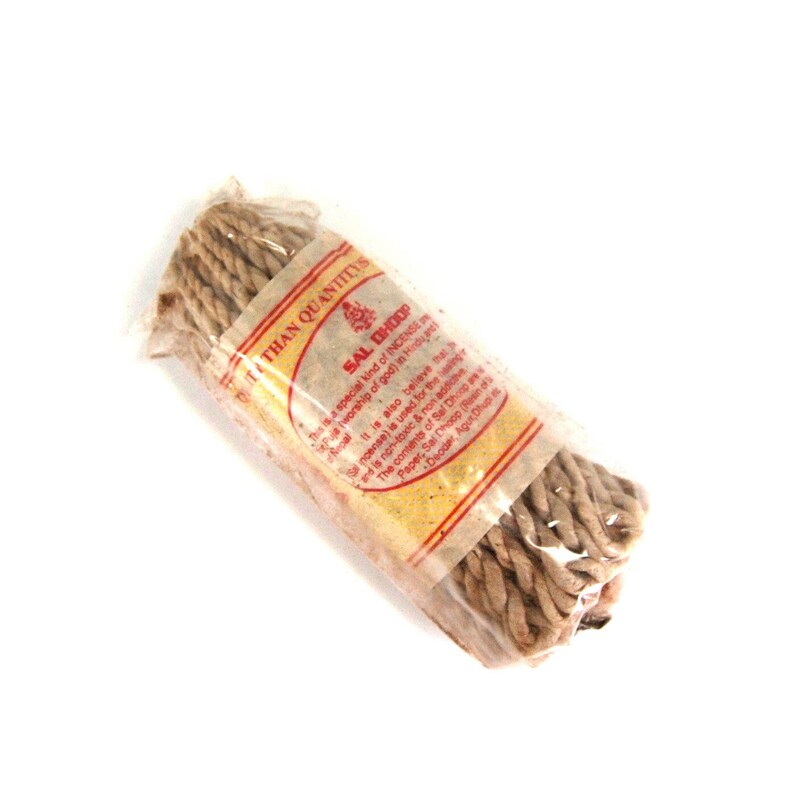 For your consideration is this bundle of Tibetan Sal Dhoop rope incense. This is handmade for Puja (worship of God) in Hindu and Buddhist religions. This incense is also said to aid in the healing of mental tensions. This woody and sweet scented incense is a shop favorite. Each 5 inch jumbo bundle contains 50 ropes. To use, you light the red end and place in a bowl with an inch or two of sand on the bottom.